I recently came across a post on Facebook discussing the trend of birth photography & had to give my two cents. Part of the reason I chose the doula we had was that she takes photos of the births she attends. I wanted to document what I would say is the most important event in my life so far. When reading through the CBC article posted by Power to Push Campaign & Best Birth Clinic, I was a bit surprised to think of birth photography portrayed as a recent trend, linked with increased social media usage. I didn't really think of it as trendy when we did it & I know most people take at least a couple pictures in the delivery room. I'd agree with Prithi Yelaja that social media has already changed our culture & the way we communicate, to some extent. I think her article got that right. Our views on birth have changed drastically as well, which she also mentioned. Going into a birth, we're no longer just hoping for the best like women in the past whose chance of death & complications was much higher. Now women are looking forward to a profound & joyful experience. The births Yelaja mentioned weren't even just the 'textbook' vaginal deliveries of uncomplicated pregnancies, even if there are factors dictating the necessity of a c-section, women are still hiring birth photographers. The comments on the article are a bit silly (I know, I know, why even read the comments?) going on about people showing photos of their vaginas, etc. But I think they're missing the point. Just because I have the photos taken doesn't mean I'm going to splash them all over Facebook or devote an entire blog post to a shot of baby crowning. Yes, I have photos of Sprout's birth that are pretty revealing. Have I shown those to my parents/in-laws/friends/neighbours/mailman? No. I've shared a few of the more typical ones where you can't see any of the bits of me that might make you uncomfortable, but I'm not about to go all documentary/journo on you, don't worry. I wanted to document the experience for us. What do you think? Would you or did you have a birth photographer? 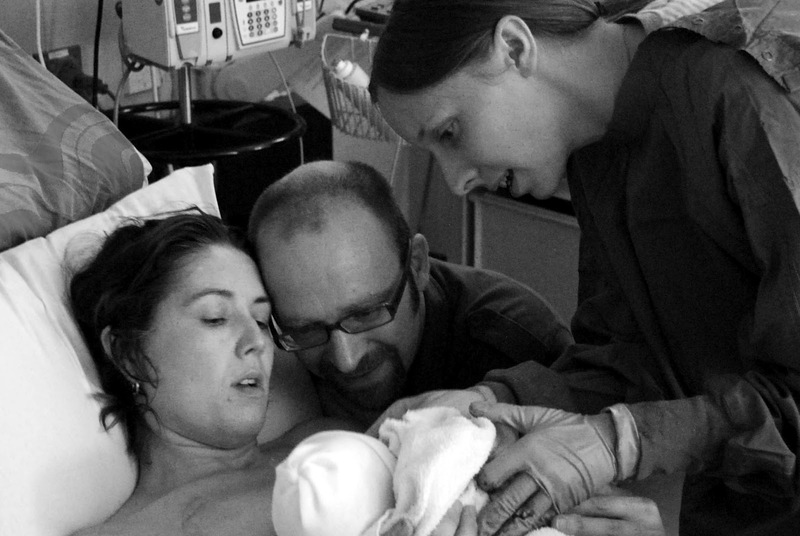 Have you ever seen birth photographs that were TMI? 2) do people object to these photos being posted on sites like Facebook, or just that they exist at all? Is this part of the generalized social network backlash? 3) digital technology means that it is easier to take these pictures. 10 years ago, preppie might be more hesitant to take birth photos if they had to drop their film off at London Drugs. 4) really, what's the harm if people want to capture important events? Shannondell has heard me describe what went on in those last 20 minutes, but has no real memory of it. She does remember seeing three firemen in our bedroom telling her "congratulations" after it was done.